American Airlines has announced the expansion of entertainment on demand – the airline’s inflight streaming video product – to approximately 400 Wi-Fi enabled aircraft by the end of 2012. American, a founding member of the oneworld Alliance, was the first North American airline to offer inflight streaming video, which enables customers to wirelessly stream content from an inflight library to select Wi-Fi-enabled laptops during flights. The entertainment on demand product is currently available onboard American Airlines flights operated by 15 767-200 aircraft – primarily transcontinental flights between New York JFK and Los Angeles and JFK and San Francisco. 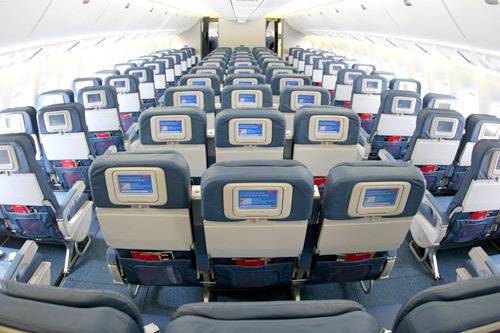 In addition, the streaming video product will be installed on more than 90 MD-80 aircraft before the end of 2011. The remainder of the Wi-Fi-enabled fleet, including additional MD-80 aircraft and Boeing 737-800 aircraft, will be equipped with streaming video by the end of 2012. Customers on American’s 15 767-200’s can take advantage of the introductory price of 99 cents per TV show and $3.99 per movie. Customers will also receive a free Internet session for a future flight with the purchase of a TV show or movie through Oct. 15, 2011.